Enjoy a full Goat Yoga class on the Patio followed with a Sparkling Wine Spritzer in the Sable Gate Winery! 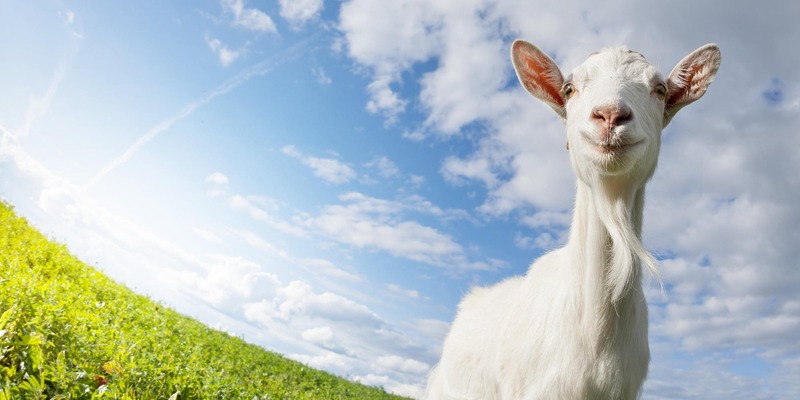 What is Goat Yoga? Well, it’s just like a regular yoga, with stretching, postures and breathing, except with adorable and friendly goats wandering around. It is truly as much fun as it sounds. This is an experience like no other. Combining the benefits of yoga with the calming and loving connection with goats will leave you feeling light, happy and wanting more. Please arrive 15 minutes before your scheduled class time. There is time after class for playing and taking pictures with the goats if you don’t get the shot you want during yoga practice! Sable Gate Winery is our Special Goat Yoga Host!!! They craft wines from grapes sourced from the World’s finest vineyards. Sable Gate Winery ia craftsman of wine and they want to share their passion with Houston! Guests can blend their own personal vintage, bottle and custom label it -all inside of our operating winery- and enjoy some simple dishes that pair perfectly with wine! Guest can taste, have a glass or a bottle of wine of over 30 varietals. As a first in Houston, our winery also offers wine delivery to your door! Speak to Szilvia (yes, that is with a “z”) and ask her how! GOAT YOGA KATY is for everyone and we welcome all fitness levels. Goats are curious and are likely to sit on your mat, hop on your back and maybe even nibble your toes. Goats are NOT potty trained animals. The yoga will be designed for beginners so do not be discouraged. Feel free to rest if you need to. A big smile and a playful attitude! Your yoga mats!!! We have some that we will rent for $4, or you can buy one from me for $8!!! Children are welcome, but they should be able to make it through an hour-long yoga class – at least 12 years old. Everyone will need to sign-in and sign a waiver before the class starts. During class, please stay on your mats the goats will come visit you. You can park on the grass in our property. We will have signs showing you where to go. This event is happening outside so it is subject to change if the weather is bad. We will keep you posted leading up. Until then, pray for sunshine!! !